Continuing on our 3D2N trip in Indonesia, we proceeded to Bandung which is about 3 hours drive away from Jakarta. Bandung is well-known for 2 things – the magnificent Mount of Tebgkuban Perahu Crater and factory outlet shopping which we will cover in the next post. You will need to engage the services of local tour operators e.g. BMW Tours to bring you around these places and from Jakarta to Bandung as the local public transportation is not as developed. 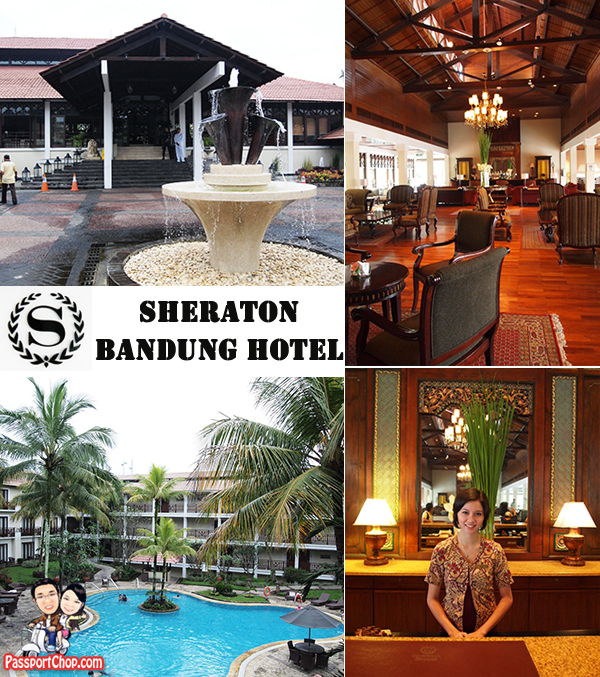 The Sheraton Bandung Hotel and Towers is a relaxed resort-style family-friendly type of accommodation, very different from our experience at the luxurious Jakarta Kempinski Hotel. There are a full suite of facilities available e.g. spa, gym, swimming pool and a common internet area at the lobby (internet access is available for free here using their computers). In-room Wi-Fi is chargeable. As its name suggests, the hotel is divided into 2 areas targeting different groups – the Sheraton Bandung Hotel for families and tourists and the Towers for more business stays. The rooms in the latter category are bigger and more luxurious but of course more expensive. 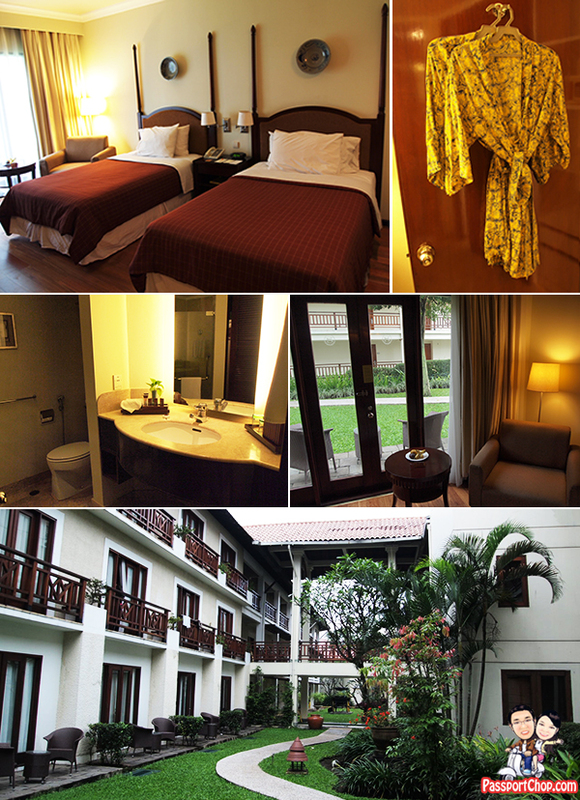 There are also Mountain View rooms and suites where you can take in a view of the Bandung countryside. We stayed at the Sheraton Bandung Hotel Garden View Room – not very different from other rooms in the Sheraton Bandung Hotel except that instead of a balcony, you get access directly to the ground level where there are a few plants in a mini garden (see bottom picture). Some of the room amenities are quite interesting – Sony Bravia LCD TV which you could use to view your pictures by inserting your SD card and colorful Indonesian batik bathrobes. Do note that the shower cubicle gets flooded quite easily if you go full blast on your shower. I have stayed here once and I must say that this is such a great hotel. They offers good accommodation like in Spain and UK. Anyways, keep on posting and I look forward to seeing more post from you. Wow!These are all Looks like a great place to stay.I like so much,Thank,s for so nice sharing. We would like to share you that we have done major renovation early this year. Discover our transformation and let it transform you.